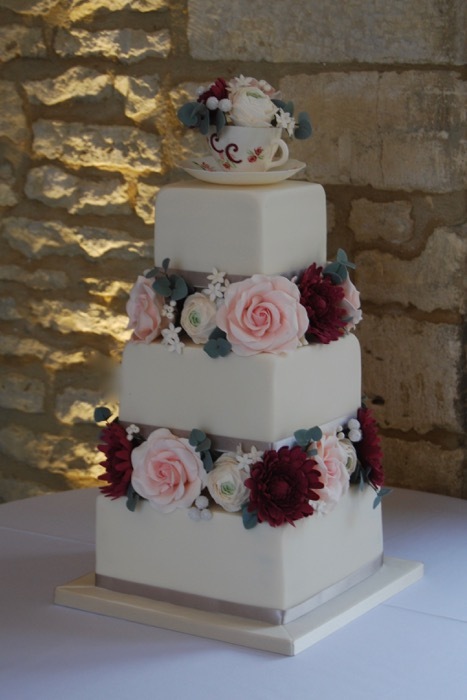 6” 8” 10” square tiers. 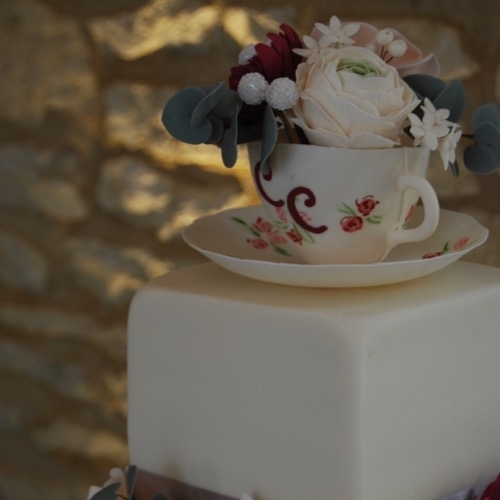 Handmade sugar teacup, hand painted and filled with handmade sugar flowers. 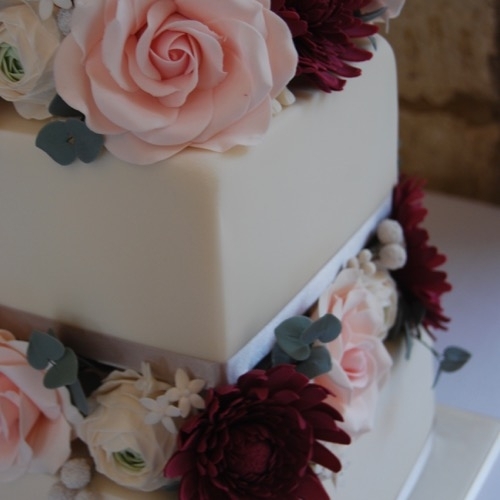 Tiers stacked with handmade sugar roses, ranunculus, dahlias and eucalyptus.